The Design SySTEM Workbook is a downloadable digital workbook filled with just the project-based learning activities from the full Design SySTEM curriculum. The workbook contains 29 design and engineering design prompts, as well as teacher notes accompanying each prompt. Most activities will use recyclables and basic school/office supplies. 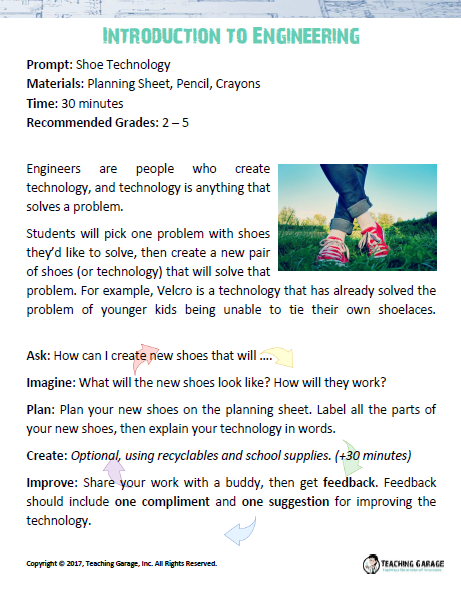 This packet contains a mixture of Planning Sheets (where students are instructed to Ask and Imagine, then Plan and Improve on paper, themselves), and Engineering Design Process (EDP) forms that contain all five procedures (Ask, Imagine, Plan, Create, and Improve) involving Project-Based Learning using mostly recyclables. All the prompts apply the EDP, but the Planning Sheets will allow students to focus on Ask, Imagine, and Plan. Teacher notes will also be provided for instructional context on each prompt. Please note that these activities are already included in the curriculum if you're already subscribed to the full curriculum. Example of teacher notes before a prompt. 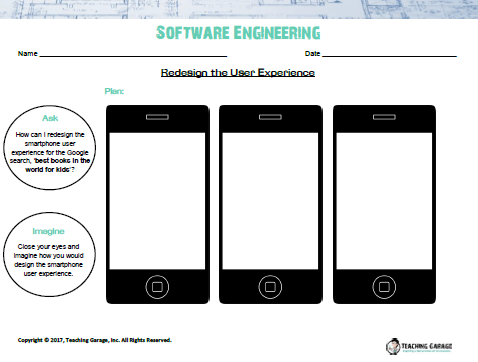 Example of a planning sheet to apply the Engineering Design Process.